Franz Schubert worked for three years on this beautiful Mass - the last of his settings of the Catholic liturgy. The result is one of the most perfect Mass-settings in the entire musical literature. 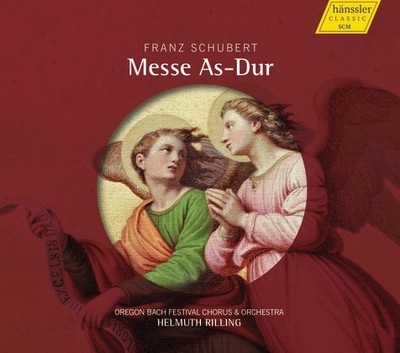 The Oregon Bach Festival Chorus & Orchestra under the direction of Helmuth Rilling hit just the right devotional, balanced tone for this devotional composition, while maintaining an aesthetic suitable for the concert hall.